Employees at the Missoula Independent, an alternative weekly newspaper in Montana, filed with the National Labor Relations Board to begin the process of forming a union with CWA. Support for the filing was unanimous across the staff's editorial, production, and sales departments. 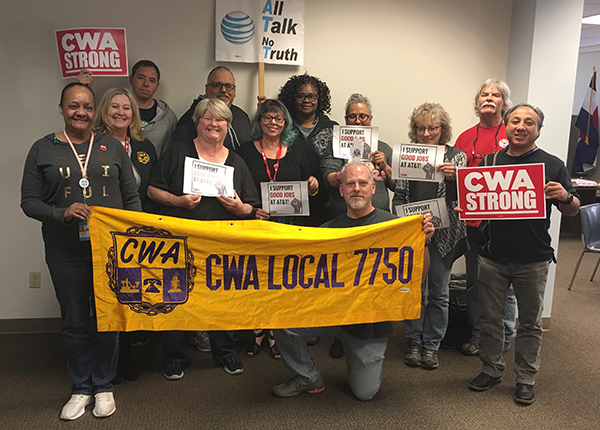 CWA-backed legislation that puts pressure on corporations to stop sending call center jobs overseas continues to gain momentum. Two major publications, PennLive in Harrisburg, Pa., and Lehigh Valley Live in Easton, Pa., published CWA District 2-13 Vice President Ed Mooney's op-ed calling for lawmakers to support CWA-backed federal legislation to protect call center jobs. The piece highlights how Wells Fargo harmed Pennsylvania communities by recently laying off 700 U.S. call center workers, including 460 call center workers in Bethlehem, Pa.
Pennsylvania U.S. Senator Bob Casey has introduced the United States Call Center Worker and Consumer Protection Act, which would make U.S. companies that offshore their call center jobs ineligible for certain taxpayer funded grants and loans. The bill would give U.S. consumers a right to know where they are calling and to be transferred to a U.S.-based location, and create a public list of companies that offshore call center jobs. 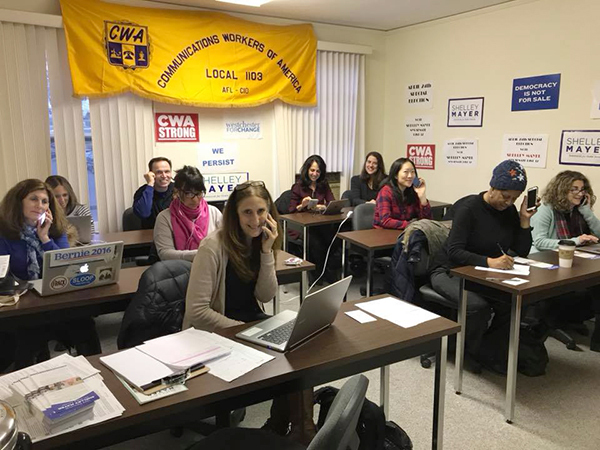 CWAers from Local 1103 in Port Chester phone banked for Assemblymember Shelley Mayer for New York State Senate District 37. The special election is coming up on April 24! 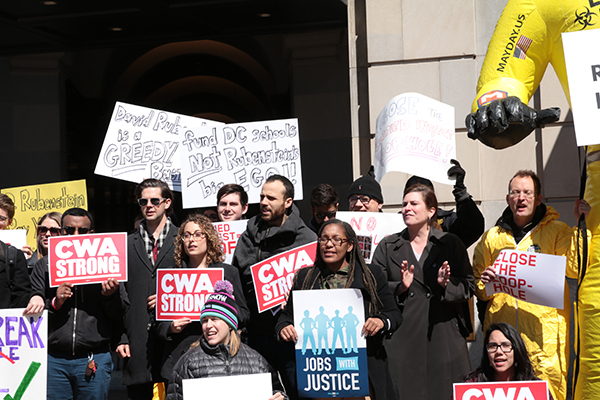 CWAers rallied in support of a bill introduced by D.C. Councilman David Grosso to close the carried interest loophole – a tax loophole that has allowed financial bigwigs to make even more money by paying a lower tax rate. Closing the loophole and making Wall Street pay their fair share would raise an estimated $152 million for D.C.